Home » Linen, Facilities, and Uniform Services Blog » Carpet Cleaning » What Are You Hiding In Your Carpet? What is the one thing in your home or office that everyone who comes in touches? Your carpets. 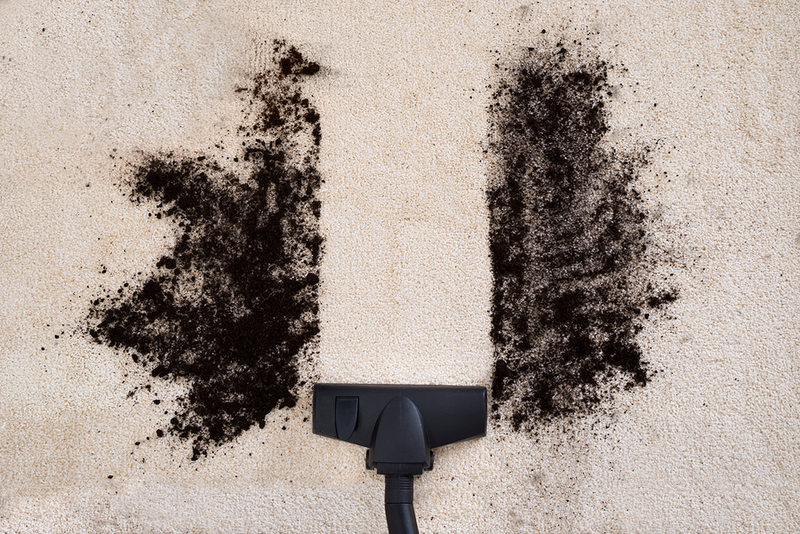 No matter what you do, your carpets will always be the first part of your location to get dirty. Not only that, but carpet is designed to absorb all of the debris in your air as well. You bring in everything from outside onto your carpet, and everything that is in your ventilation system gets thrown onto your carpet as well. It has been said that carpets hold more bacteria than toilets. This actually makes quite a bit of sense considering how often a carpet is used compared to a toilet. You also have to consider the fact that you clean your bathrooms and the rest of your location much more frequently than you clean your carpets. Instead of sitting around worrying about all of the bacteria and grime that is residing in your carpets, maybe it is time to get them cleaned! Having a professional carpet cleaner come to your home or office is the best solution to making sure that your carpets are sanitized and thoroughly cleaned. When you take the time to clean them yourself, they may look cleaner, but the chances of everything deep in there being taken care of is very slim. Considering all of the things you put on your floor, or how often you sit on your own floor, it is worth the time and money to have someone come to you and make sure that your carpets are cleaned and sanitary!